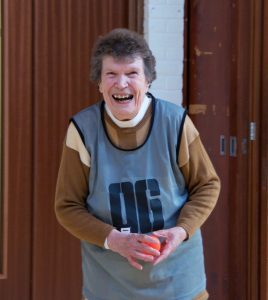 In December 2016, Cage Cricket South East was successful in their bid to be included in Active Surrey’s Get Active 50+ programme for 2017. 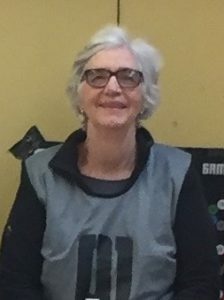 The first Over 50s group started early in January 2017 at The Longmead Centre in Epsom & Ewell and quickly grew in popularity with 18 men and ladies aged 56-86 having attended, most of them every week. Longmead Over 50s Group with Councillor Barry Nash and Cage Cricket’s Neil and Haidee. 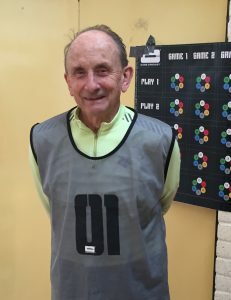 The Epsom GA50+ Cage Cricket group has already gained some celebrity in the Borough with Councillors Tony Axelrod and Barry Nash attending (and participating in) a couple of sessions. We were also delighted to invite BBC Radio Surrey along in February, a video of their interview with Neil Bunting and members of the group can be seen in our blog of 20 March 2017. Now the weather is picking up the Epsom group will start playing outside at the centre. 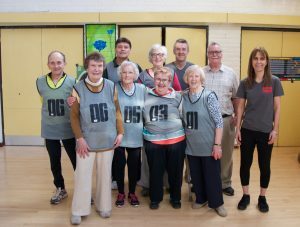 We are also excited to start GA50+ groups in another four boroughs after Easter, namely; Reigate & Banstead, Runnymede, Spelthorne and Woking. 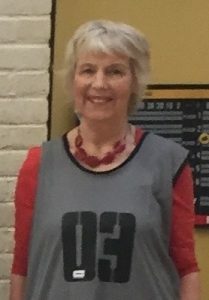 Details of days, times and venues can be obtained by contacting Neil Bunting (neil.cage4all@gmail.com) or Haidee Allen (haidee.cage4all@gmail.com) or on the respective borough council websites. “A well organised and enjoyable hour. A credit to Neil and Haidee.